ruthdelacruz | Travel and Lifestyle Blog : Win a Pair of Tickets to the Forever 21 Philippine Fashion Week Show! Win a Pair of Tickets to the Forever 21 Philippine Fashion Week Show! The Philippine Fashion Week is happening again and our favorite brand from Los Angeles, Forever 21 is joining this year's roster to showcase the freshest trends for men and women. What can we expect from the show? The return of Forever 21 to the catwalks of PhFW since the fast fashion brand first heated up the runway in 2011 will showcase must-haves perfect for the season in trendsetting forms to cover the holiday flurry and sweater-weather season. Taking on the contrasting moods of fun fashion and sophistication, Forever 21 is ready to show the Philippines how to spark up in style this holiday season. How exciting! Click Read More to know more how to join the #Forever21XRuthilicious contest! 1. Follow and tag @f21philippines and @ruthilicious on Instagram. 2. Regram the poster with the caption "I'm excited to see the latest trends at Forever 21's show on Philippine Fashion Week!" and use the hashtags #F21PhFW and #Forever21XRuthilicious. 3. This contest ends on October 21. The winner of two passes should be able to claim the invites on October 24 at the Registration Area of SMX Hall 4 between 4 to 5 PM. Please claim your tickets to the Registration Area of SMX Hall 4 between 4 to 5 PM. Don't forget to bring your date because you won two tickets! 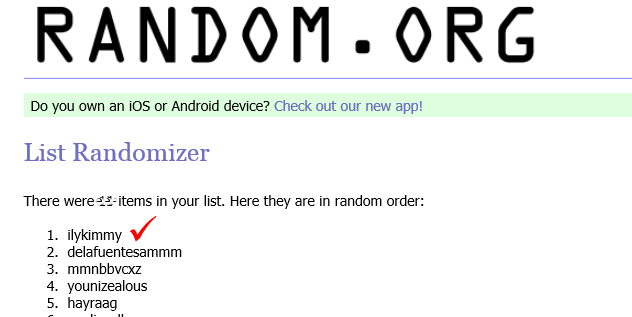 I will use randomizer to pick the winner of the passes! Good luck! Forever 21 is located at Megamall, SM Makati, SM City Cebu, The Block, North Edsa, Mall Of Asia, Lanang Premier, Aura Premier, SM City Fairview, and SM City Clark. © ruthdelacruz | Travel and Lifestyle Blog : Win a Pair of Tickets to the Forever 21 Philippine Fashion Week Show!